A changing picture has emerged of the U.S.' susceptibility to epidemics of infectious diseases over the next decade — driven by organized anti-vaccine activity and the lack of incentives to develop new or more effective vaccines, along with inadequate mosquito control measures. The big picture: Reducing the risk of new epidemics will require expanding the use of existing vaccines, especially for measles and seasonal influenza, as well as introducing new vaccines for any vector-borne or zoonotic diseases that emerge. 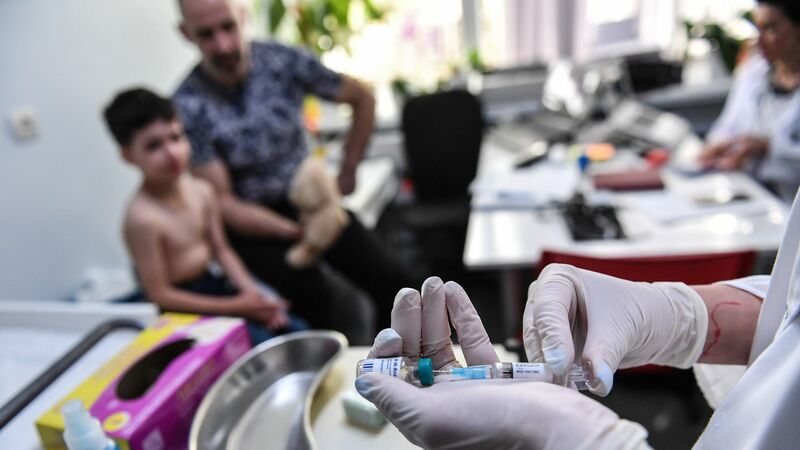 Measles: More than 40,000 measles cases occurred in Europe in the first half of 2018. With regular travel between North America and Europe, it's possible that on any given week measles cases are being imported into the U.S. Several western states with strong anti-vaccine movements —including Washington, Oregon, Idaho and Texas — are highly vulnerable to outbreaks because of low vaccine coverage, in some cases well below the 90%–95% immunization rates needed to achieve adequate herd immunity for measles. Seasonal influenza: Influenza is one of the most fatal infectious diseases in the U.S., especially among the very old and very young. Most of the 180 American children who perished in the 2018 flu epidemic were not vaccinated, despite strong recommendations from public health officials. (An anti-vaccine lobby may have promoted misleading information about both flu and the flu vaccine.) Flu is now being reported in the Southern Hemisphere this summer and will return to North America this winter. Given that influenza kills up to 50,000 Americans every winter, flu vaccinations, especially for children, are paramount. Vector-borne diseases: Diseases from infected ticks (e.g., Lyme disease), mosquitoes (e.g., West Nile, dengue and Zika), and fleas (e.g., typhus) have tripled over the past 13 years. Nine new disease pathogens spread by mosquitoes or ticks have also been either newly discovered or introduced into the U.S. over this period. A yellow fever epidemic in Brazil could emerge in U.S. Gulf Coast states where the Aedes aegypti mosquito — the most efficient mosquito vector — is found. There is probably a need for vaccines to prevent Lyme Disease, West Nile virus and Chagas disease — among others — but they are not being developed because of perceived market inadequacy. Also, as the recent HPV vaccine has shown, it’s increasingly difficult to introduce new vaccines in the U.S.
Peter Hotez is a professor of pediatrics and molecular virology and microbiology at Baylor College of Medicine, where he is also Dean of the National School of Tropical Medicine.